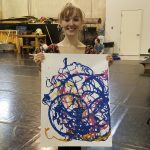 This is a Manibus-aided acrylic painting on paper measuring 18x24" In this painting, the image represents contemporary ballet as performed by Eleanor, a professional dancer with Ballet Des Moines. The choreography is lively, vibrant and energetic. Ballet Des Moines professional dancer, Eleanor, wears a motion-sensing remote to control the Manibus painting robot. She dances a contemporary ballet by the renowned choreographer, Ma Cong. Manibus simultaneously renders the dynamics of her movement into a painted work of art. Manibus was created by visual artist, Amenda Tate Corso. It is a robotic tool utilized to translate the ephemeral and dynamic movement of ballet into a sustaining work of art. This painting is acrylic on paper. 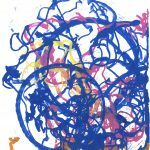 more info: www.amendatate.com Manibus Project Amenda Tate Corso, Ballet Des Moines Artist-In-Residence Spring 2017 This is a Manibus-aided acrylic painting on paper measuring 18x24' In this painting, the image represents contemporary ballet as performed by Eleanor, a professional dancer with Ballet Des Moines. The choreography is lively, vibrant and energetic. 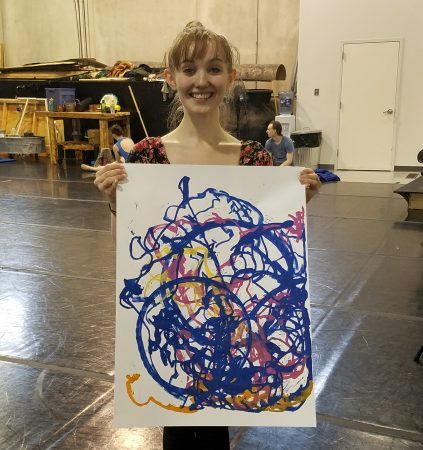 Ballet Des Moines professional dancer, Eleanor, holds up a completed Manibus-aided painting created as a rendering of her dance moves in Match Point by renowned choreographer Ma Cong. This video shows Manibus in action. Ballet Des Moines professional dancer, Eleanor, (far right) wears the control device on her am instructing the painting robot through her dance movements and the dynamics of her motion. 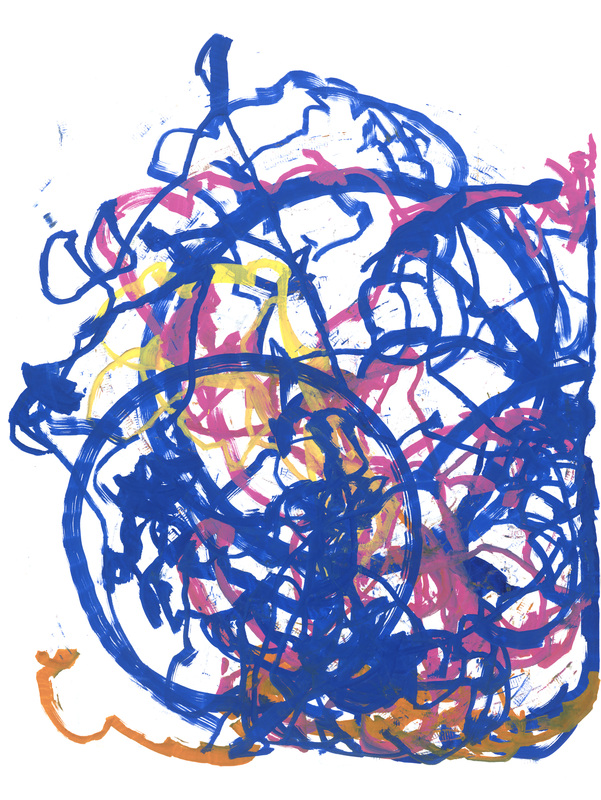 The resulting work of art is a lively and vibrant acrylic painting on paper.